Producers announced on Thursday 11 key members of the production team for the 2019 Oscars. With less than three weeks to go, preparations for the 91st Academy Awards are in full swing. And now we know some of the names on the team. 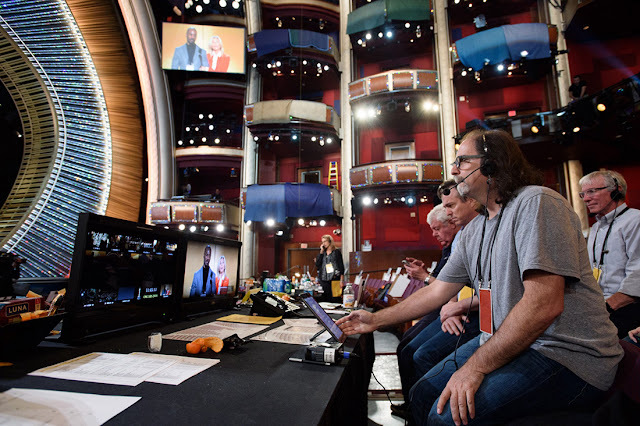 Producers Donna Gigliotti and Glenn Weiss announced on Thursday 11 key members of the production team for the Oscars. The Academy announced that Weiss would return for his fourth consecutive stint as director and share producing duties with first-time Oscar producer Gigliotti. 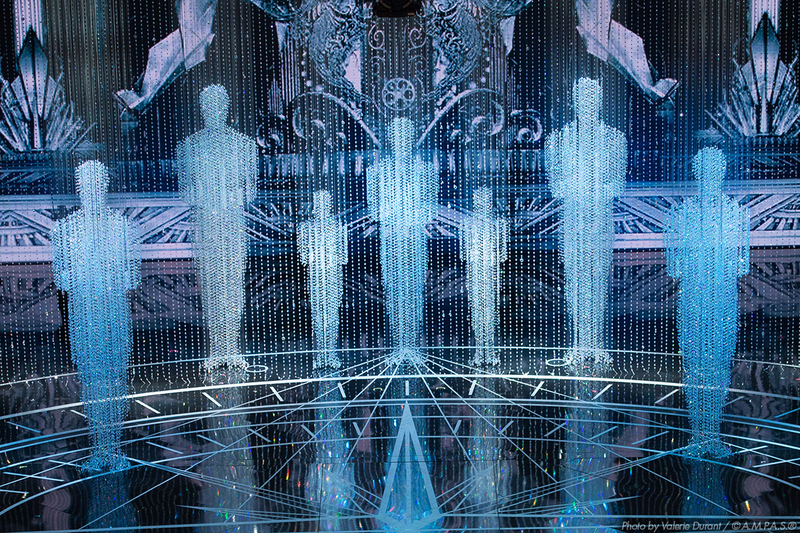 Among the new faces are the production designer, the music director and a few writers. David Korins joins the Oscars telecast for the first time. His television credits include “Elton John: I’m Still Standing – A Grammy Salute” and “Grease: Live!,” for which he won an Emmy Award. Korins’s prolific work for the Broadway stage includes “Hamilton” (Tony Award® nomination), “Dear Evan Hansen” and “War Paint” (Tony Award nomination). He is currently the scenic designer for the upcoming Broadway musical “Beetlejuice” and is serving as the creative director for “Hamilton: The Exhibition,” set to open in Chicago later this year. Rickey Minor makes his Oscars telecast debut as music director. A seven-time Primetime Emmy Award nominee for Outstanding Music Direction, he won in 2017 for “Taking the Stage: African American Music and Stories That Changed America.” He received nominations for “Stayin’ Alive: A Grammy Salute to the Bee Gees,” “Smithsonian Salutes Ray Charles: In Performance at The White House,” “An Evening of Stars: Tribute to Chaka Khan,” “The 51st Annual Grammy Awards,” “50th Annual Grammy Awards” and “Genius: A Night for Ray Charles.” Notably, Minor was the musical director and bandleader on “The Tonight Show with Jay Leno” from 2010-2014. Among the veterans returning to the Oscars team are industry leaders with decades worth of Oscars experience. Jon Macks returns for his 22nd Oscars telecast. He has been honored with eight Primetime Emmy Award nominations, including three for the Oscars telecast. In addition to his work on the Oscars, Macks wrote for 22 years on “The Tonight Show with Jay Leno” and writes for Billy Crystal, Steve Martin, Chris Rock and Martin Short. Taryn Hurd rejoins the Oscars telecast team for the sixth consecutive year as talent producer. She also has served as talent producer on the past five Governors Awards ceremonies along with numerous television variety specials and award shows. Raj Kapoor joins the Oscars for the third consecutive year, overseeing screen content and performances. Kapoor’s recent credits include “The 60th Annual Grammy Awards,” “The 70th Primetime Emmy Awards,” “Academy of Country Music Awards,” “People’s Choice Awards” and “Stand Up to Cancer.” Kapoor has mounted numerous large-scale international tours for Carrie Underwood, Faith Hill and Tim McGraw, One Republic, American Idol, Jason Aldean, Shania Twain, Juanes, Jewel, Jonas Brothers and Demi Lovato. Featured Photo: Glenn Weiss during rehearsals at the 2016 Oscars. Photo courtesy: The Academy. The 91st Academy Awards, for outstanding film achievements of 2018, will be presented on Sunday, February 24, 2019, at the Dolby Theatre at Hollywood & Highland Center, and will be televised live on ABC and in more than 225 countries worldwide.